An Exercise Physiologist (EP) is not a physiotherapist or a personal trainer. An EP is an allied health professional that specialises in exercise and movement for the prevention and management of chronic diseases and injuries. Most importantly, they help people move and exercise their way to a healthier lifestyle. 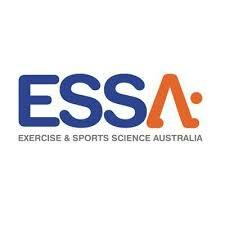 Our EPs are fully accredited with Exercise and Sports Science Australia (ESSA) and can provide support for clients with musculoskeletal injuries and conditions such as cardiovascular disease, diabetes, osteoporosis, mental health problems, cancer, arthritis, pulmonary disease and more. Accredited EPs are registered with Medicare Australia, the Department of Veterans’ Affairs, WorkCover and most private health insurers. Back, neck, shoulder, knee pain and more! If you can relate to any of these examples and believe you would benefit from Canberra Soft Tissue Therapy’s Exercise Physiology services, speak with your doctor as you may qualify for a CDM plan. Your doctor will then provide you with a referral which you can bring with you on your first visit. Further details on Chronic Disease Management can be found on the Medicare website. If you would like to speak with one of our EPs, please email info@canberrasofttissuetherapy.com, head to our Contact Us page and leave your details, or call the team on (02) 5100 7307. Find out how ESSA professions inspire and inform all Australians to be healthier and more active!